A patient from Portobello, Edinburgh, believes she wasn’t properly fed in her recovery from surgery at Western General Hospital, as BBC News reports this morning. Giselle Dye spent one month in the hospital in April 2015 recovering from benign brain tumour surgery, and believes her recovery time could’ve been significantly shortened if the food supplied to her from the hospital was more sufficient. Ms Dye says that she found it difficult to get any fruit, and was surprised at the poor quality and lack of food due to Scotland being known for good food and drink. She resulted in asking her husband to bring her food when visiting, such as boiled eggs, toast and even fish and chips. Ms Dye shares her experience after a previous BBC article reported that a number of hospitals in Scotland are spending so little on meals. An average of £3.50 per person, per day, on meals and snacks is being spent on patients in the country’s hospitals, averaging out at around 94p per meal. The option of 'I was happy with the food/meals I received' received positive responses in the range of 56%-91%, while 18% were unhappy with food. A spokeswoman notes that ‘cost is not a reflection of quality’ due to St John’s hospital being known for high quality food, despite its cheap costs. While quality may not be an issue, as shown by Ms Dye’s case, quantity and type of food may be. 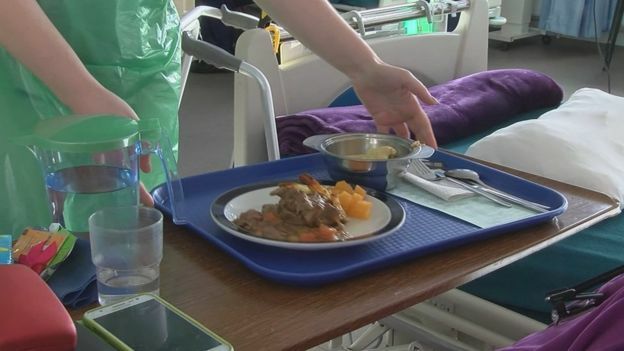 Conservative MSP Brian Whittle brought up the topic of hospital food in parliament last year, showing interest in the quality of the foods provided, and where the food is sourced. “Eating healthy, high-quality meals when you're in hospital can make a big difference to your recovery…If patients aren't eating well, they can't get well,” he says. Head chef of Kingsbridge Private Hospital in Belfast, Jim Farren, agrees. The Belfast Telegraph reported last week of Mr Farren’s efforts to ensure nutritious, good quality food is being served to patients. 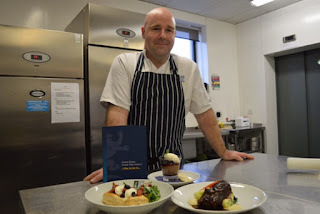 Catering for up to 16 patients at a time, Farren is “always willing to tailor dishes to suit the individual dietary requirements and even the tastes of each patient” as reported by the Belfast Telegraph. Working closely with suppliers, he always ensures the quality is of restaurant standard and the price is as low as possible. With fantastic feedback and a modern menu, it’d be great for this food standard to be expanded to NHS hospitals and not just private ones, to ensure all get the necessary nutrition for recovery, and patients like Ms Dye avoid unsatisfactory meals.